Here we have a selection of bird paintings for sale. Amazing Paintings of British Birds For Sale or to Buy by Alan M Hunt. Alan is a very keen Bird Watcher although he would not describe himself as a twitcher and when he is not painting he spend many hours in his hide photographing birds. Alan M hunt is a formidable bird artist. 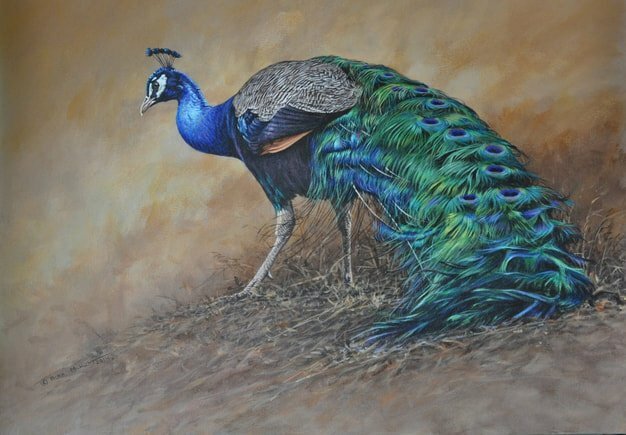 His love of birds and bird watching extends to the passion he has in painting them. Be it common garden birds or more exotic and rare species of birds. See Alan's new online Bird Art Shop. Amazing Paintings of British Birds For Sale or to Buy by British Bird Artist Alan M Hunt. Alan is a very keen Bird Watcher although he would not describe himself as a twitcher and when he is not painting he spend many hours in his hide photographing birds. Alan M Hunt started of his career painting when his parents bought him a box of paints to occupy him whilst he was recovering from double pneumonia. He would then sit in bed looking out of his window with his observer book of birds and sketch and paint all the different birds that would come into his garden. Alan also used to work with exotic birds at a zoo and he has kept a few as pets over the years. And today Alan M Hunt carries on with his love of birds by capturing through his work these truly amazing images and pictures of British and European birds and wildlife. 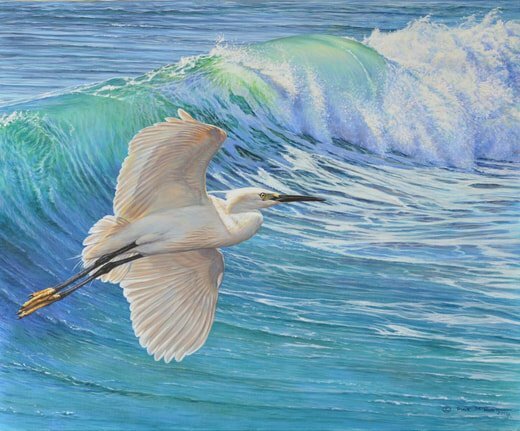 See more of Alan M Hunt Bird Paintings on Pinterest. 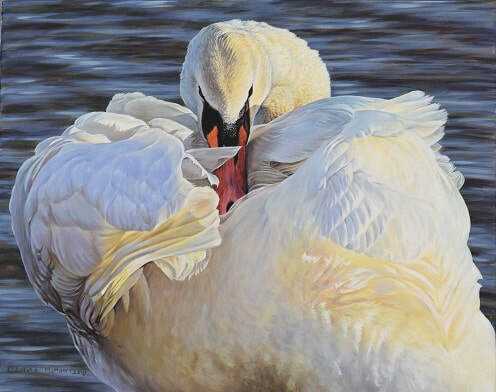 Amazing Bird Paintings For Sale by Alan Hunt British Wildlife Artist - Price £POA - Click on images to enlarge or to go to Alan's Bird Art Shop where you can purchase posters and prints of his work. 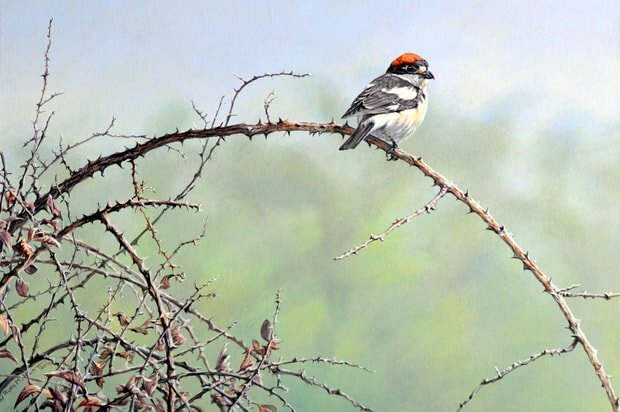 Want to see more bird paintings by this British Bird Artist? ​Follow these links to see Alan's latest collection of paintings of game birds or his collection of bird of prey paintings. Also his new collection of Seabird Paintings, all available in his online shop. Or follow Alan's Bird Art Blog for all his latest posts. Choose and buy bird art online from dozens of paintings of birds and dozens of products and gifts at Alan's very own Online Bird Art Shop. Quite possibly one of the best wildlife artists in the world. Amazing paintings featuring big cats, birds, birds of prey, animals and mammals from around the world. ​If you wish to be kept updated and get the first viewing of Alan's latest original wildlife paintings then please join the artists mailing list, right.